Kia Ora, welcome. Hey, every now and then you gotta pay for looking at the beauty. It’s not just about gorgeous, it’s also about context. To be in NZ one has to know a little of its history, and that means the Maori, the original human inhabitants. They arrived in canoes in the 1200’s. I mean, how do you just hop in a canoe and paddle off to the horizon? Your boss piss you off? 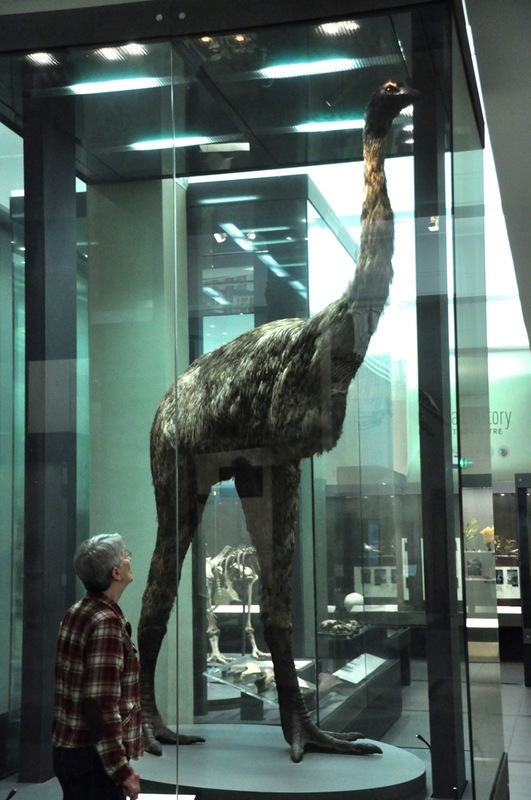 They found quite a bonanza here; in addition to sea-food and seals, there were Moa, ostrich-like birds that can weigh over 500 lbs (wiped out within 100 years). Being isolated then (as now) they developed a unique culture with their own language (all spoken, no written). Also distinctive crafts and performing arts (they were great wood carvers!). Like the American Indians they were clannish, with a tribal organization and reverence for ancestors (whose images they would capture in wood carvings, displayed like heraldry). And so, human nature being what it is, with time tribal societies engaged in endemic warfare and developed a prominent warrior culture. A remarkable part of Maori life was body decoration – tattoos. 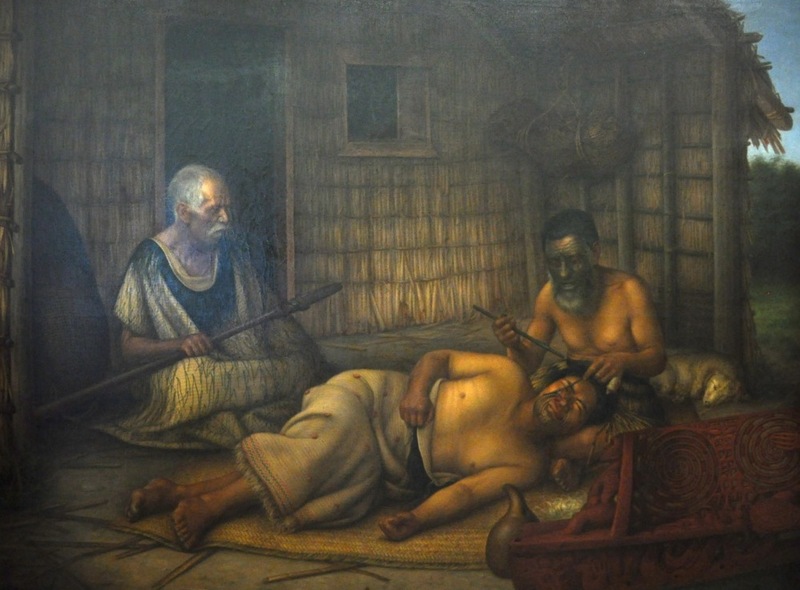 This was done by a skilled and respected Tohunga-ta-moko, who would take a sharp tool and cut the skin in a design, then add ink to the wound, making the design permanent (painting by Lindauer, late 1800’s). Women would do this mostly to their chin and lips. Men would do this to their entire face, as well as other parts of their body. To some degree this practice (now as a conventional tatoo) continues with the Maori today. So let’s take a look at a drawing of a Maori person in the 1800’s, and at some Maori carvings from before that. In the middle image, our man holds a war club. Of course, for capturing ancestors in wood, the tatoos provided instant recognition (from the look of the ancestors portrayed in this image, they seem to have been caught in a rather compromising position). Back to the warrior culture, the Maoris were fierce. There are stories of Maori coming upon an inhabited island, being welcomed, handshakes all around, and then pouncing on the inhabitants and killing them all. Genocide R us. Before battle warriors would perform a dance, a haka, to declare their prowess and intimidate their enemies. The haka uses fierce facial expressions, grimaces, weapon waving, showing the whites of eyes, grunts and cries, and – pointedly – sticking the tongue out and down. The display of the tongue in the haka is an indication to the enemy that they will not only be defeated and killed, but eaten. That message is seen in many of the Maori wood carvings. 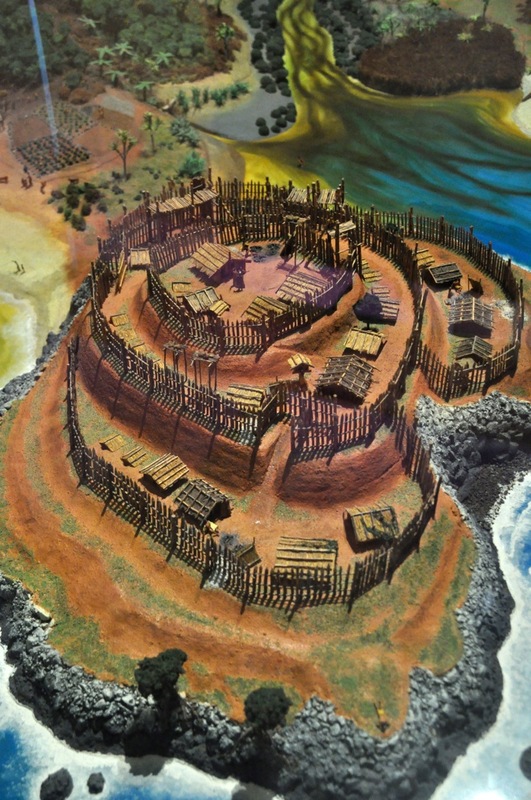 Along with the warrior culture came fortified hill forts (pa) and some of the largest war canoes ever built (and carved). There are many, many many small hills in NZ, and terraced remains of pas are everywhere. One of the interesting (to me) aspects of the model pa shown here is the gate in the middle of the picture. The pa gate uses an uphill entrance and right angle turns, something we saw in Moorish forts a continent (and 5 centuries) away (and that I’ll show you as I backfill posts from Spain). And then the Europeans (pakeha) came; Captain Cook mapped NZ from the sea in 1769. Whalers came, and traders, and there were generally positive and amicable relations (the Maori language became written, for example), but things slowly deteriorated due to the usual problems of Old World diseases, alcohol, land grabs, a huge demand for firearms for inter-tribal conflicts, rough whalers, escaped convicts from Australia, prostitution, etc, all leading to a crumbling tribal structure. Missionaries came, intent on converting Maori to Christianity. Settlers came, with land issues and mistreatment of the Maori. Finally in 1840 there was the seminal event in NZ history; partly to prevent French expansion, the British Crown sought to convince the Maori to become British subjects with all the protections of citizenship, including land ownership. The Treaty of Waitangi was signed by the 5 major tribes of the North Island in 1840, purportedly guaranteeing Maori control of their lands, rights and possessions in return for their loss of sovereignty. Small problem – the treaty was in English, with a Maori “translation”, but the two did not say the same thing, particularly regarding land and resource ownership. Then the usual happened, with more settlers and land grabs, leading to the NZ wars of 1860. After a year the Maori were subdued, and with it much of their lifestyle. Unlike the American Indians, however, there are no barren deserts in NZ to send the natives to. Maori were somewhat integrated, and over the years have had some of their grievances addressed. Maori lag behind their countrymen in many categories, and currently there are as yet unsettled wrangles over cultural identity, land and resource rights. A positive sign for the future is an increasing Kiwi pride and appreciation of the country’s Maori heritage. 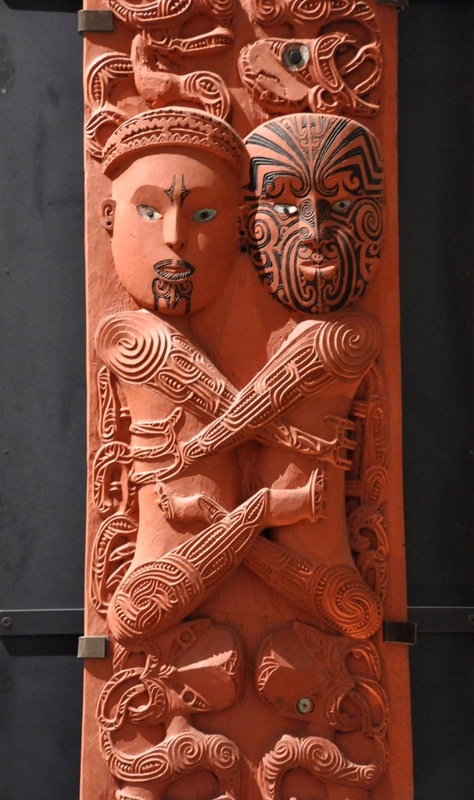 I’ll share some of the amazing Maori art in the next post (with a LOT fewer words! Sorry about the length of this post). This entry was posted in Auckland, New Zealand, North Island. Ciao Ron, � Glad that you finally reached NZ!! !� Are you thinking about going “native”? ?� War paint and tattoos! � Steve � PS Can you add Sue to your Blog!